This is the sweet potato filling that I used for my crispy sweet potato mooncakes (recipe here). Instead of white table sugar, I sweetened the paste with oligosaccharide syrup. Oligosaccharides are carbohydrates with 2 to 10 monosaccharides (simple sugars like glucose and fructose). Most oligosaccharides are indigestible by the small intestine and therefore will not cause a raise in the blood sugar. These indigestible ones are often referred as “prebiotics” which maintain and promote the growth of probiotic bacteria in the colon. Oligosaccharides are found naturally in human breast milk as well. It is rich in galactooligosaccharide (GOS) which supports the growth of the digestive system in infants. That’s why many baby formulas have GOS as an ingredient to better imitate human breast milk. 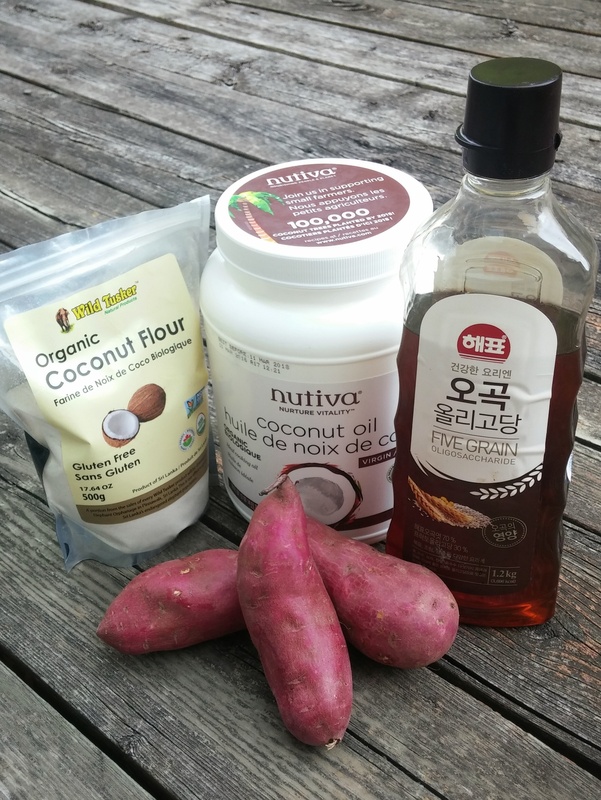 I purchased my oligosaccharide syrup from a Korean grocery store. There were a few brands and several types such as isomaltooligosaccharides (IMO) and fructooligosaccharide (FOS) are available there. My amber colored syrup was FOS which was extracted from corn, rice and barley. If oligosaccharide syrup is not available, feel free to switch back to any sugar while demerara sugar and maltose are preferred. The yellow-flesh sweet potatoes I bought were also a product of Korea. They are very sweet and smooth in texture. Try not to cook them by boiling in water as some of the vitamins B and C will leach out into the cooking liquid. I always roast them in the oven as it is so convenient. They taste better than the steamed ones too. I’ve also spiced up the sweet potato paste with a hint of ginger flavor. This is optional as not everybody, especially kids, like ginger. Clean sweet potatoes thoroughly and pat dry. Pierce each sweet potato with a fork several times then wrap with aluminum foil. 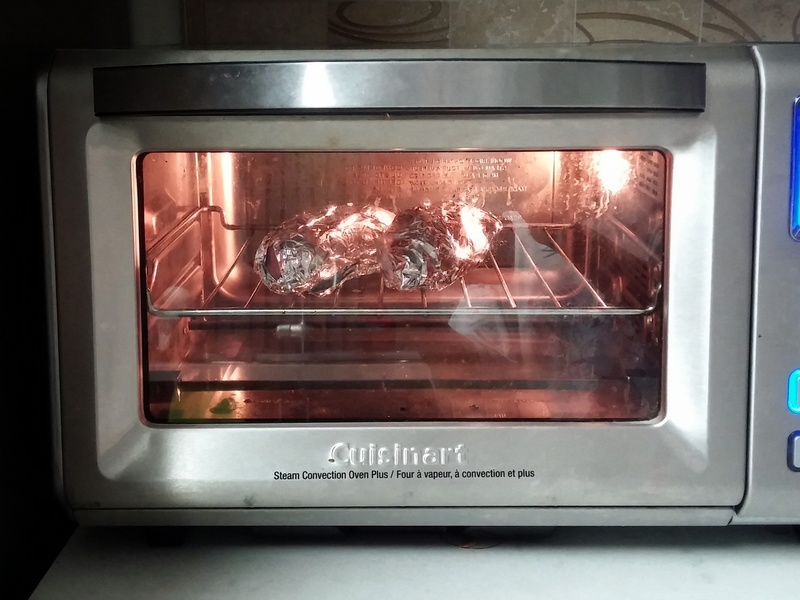 Bake in a 200℃/400℉ preheated oven for 30 to 45 minutes or until fork tender. Remove from oven and let cool. Peel the skin off then place the sweet potatoes in a large bowl. Add coconut flour, coconut oil, syrup and the optional ginger juice. 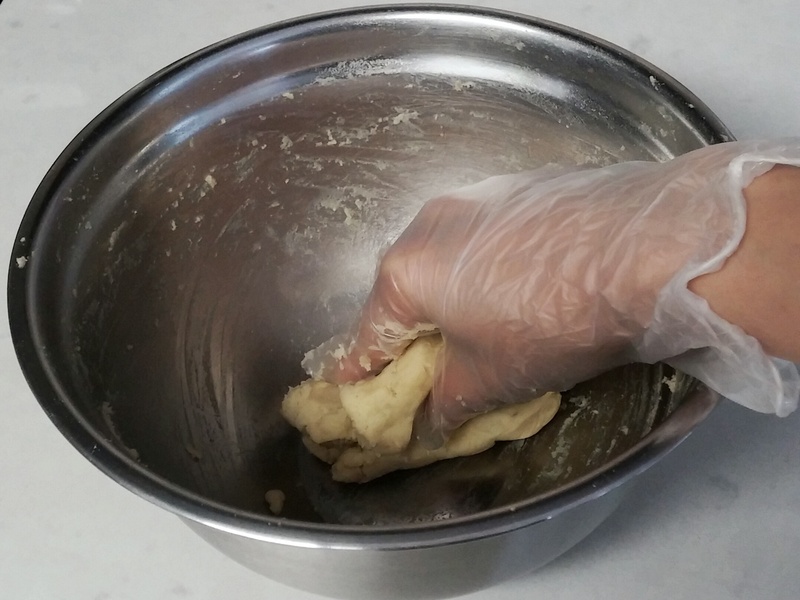 Mash by hand (wear disposable gloves to keep hands clean) or a potato masher until well incorporated and paste-like. If the paste is too wet or soft, stirring in half to one tablespoon of cooked sweet rice flour will make it firmer. 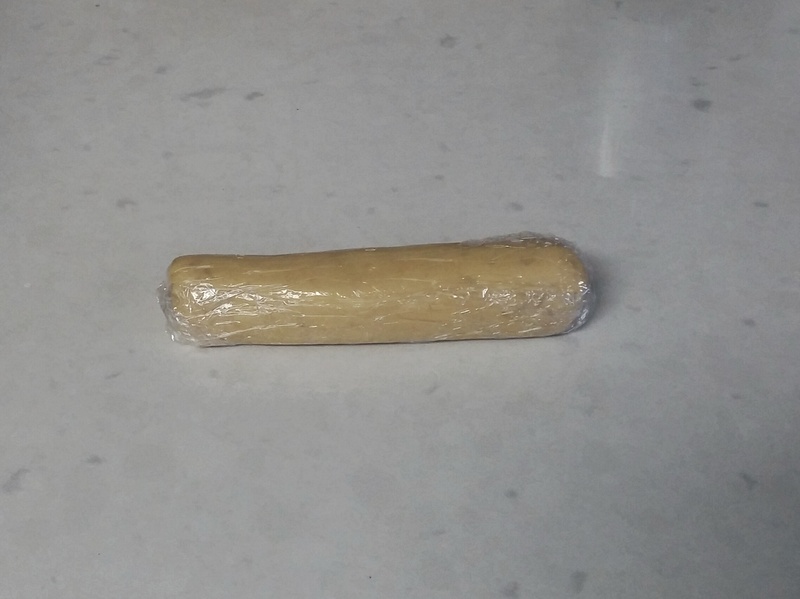 Wrap paste with plastic wrap and shape into a log. Refrigerate until firm before using. 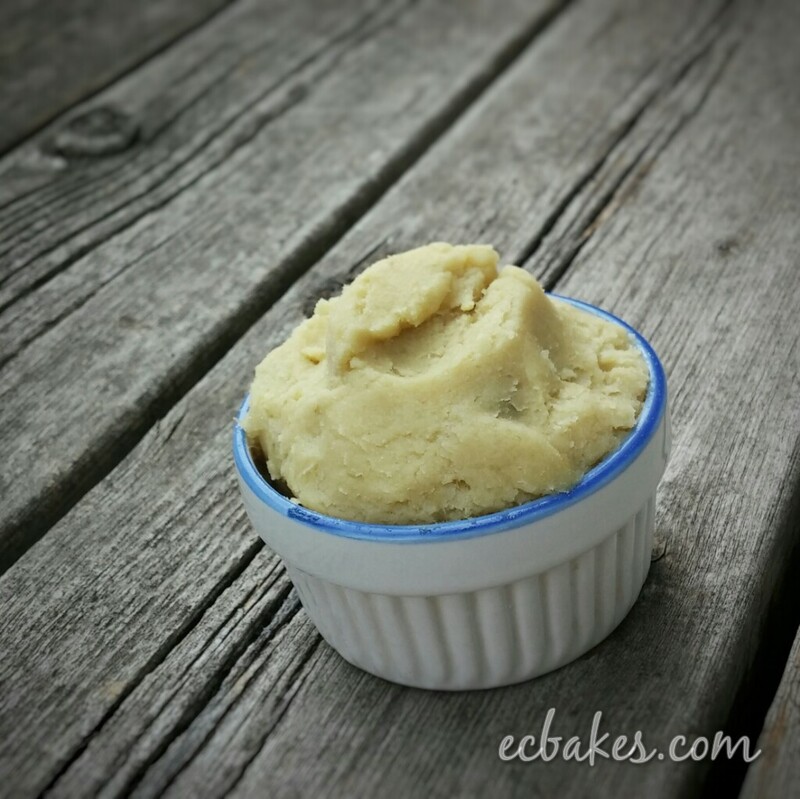 Store paste in an air-tight container in the refrigerator and use within two weeks.